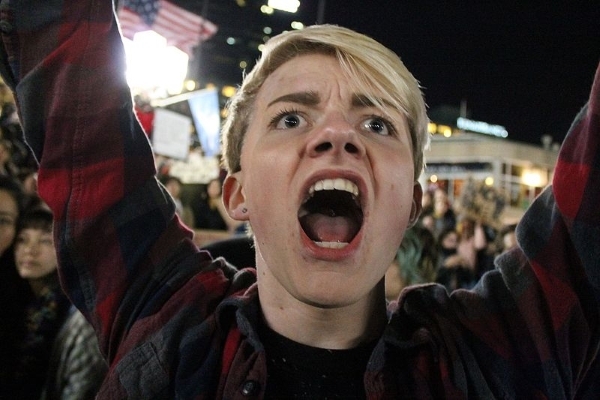 This protestor in Baltimore, Maryland, on 10 November, was one of many who took to the streets of American cities after Donald Trump was elected President of the United States in a victory that surprised pollsters and mainstream media. 16 Nov. 2016: The United States has now come through one of the most rancorous presidential election campaigns in history. Unfortunately, the candidates weren’t the only ones exchanging acrimonious remarks. Their followers—if not in person, then online—also became guilty of spitting venom at each other and spreading disinformation. Sadly, some of these people styled themselves as Christians. If these things happened during the campaigning, what will happen when one of the most controversial Presidents ever elected takes office? Christians may find themselves confused over when and how to respond to situations that may arise. At this time, in this article, I want to address some general principles Jesus and His apostles gave us for responding to times of turmoil and civil unrest.